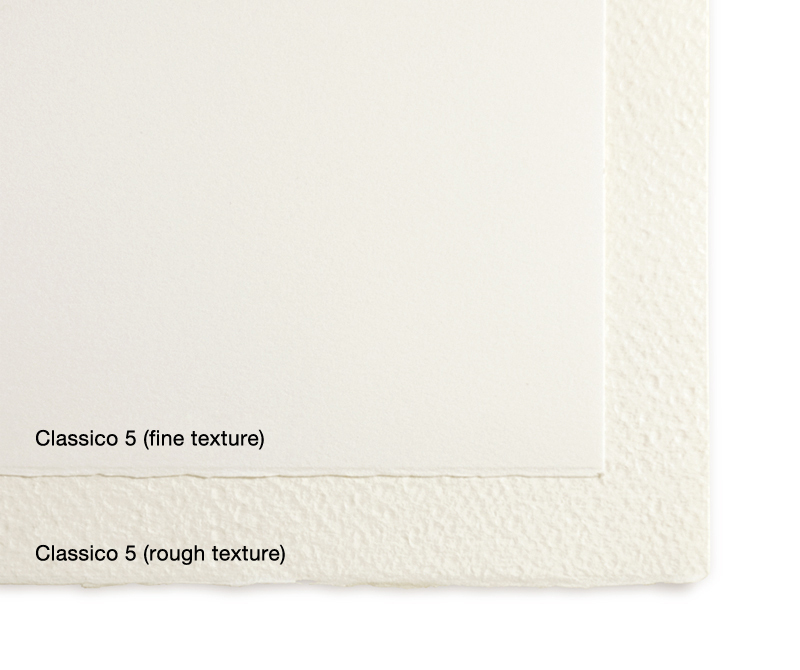 Fabriano watercolor paper is watercolor paper produced by Fabriano of Italy such as Extra White, Fabriano Classico and Classico 5. It is an ideal paper for working with transparent watercolor, gouache, acrylic, ink and other water-based coloring materials. Incidentally, Fabriano is a paper mill in central Italy with a long history of business in Europe dating back to its establishment in 1283. Paper produced by the mill has been used by numerous painters including the likes of Raphael and Leonardo da Vinci. Fabriano produces a wide range of watercolor paper. Among them are the Extra White and Fabriano Classico lines (both high-quality watercolor paper sold under the “Artistico” brand), which are made of 100% select cotton without adding chlorine or fluorescent dye. 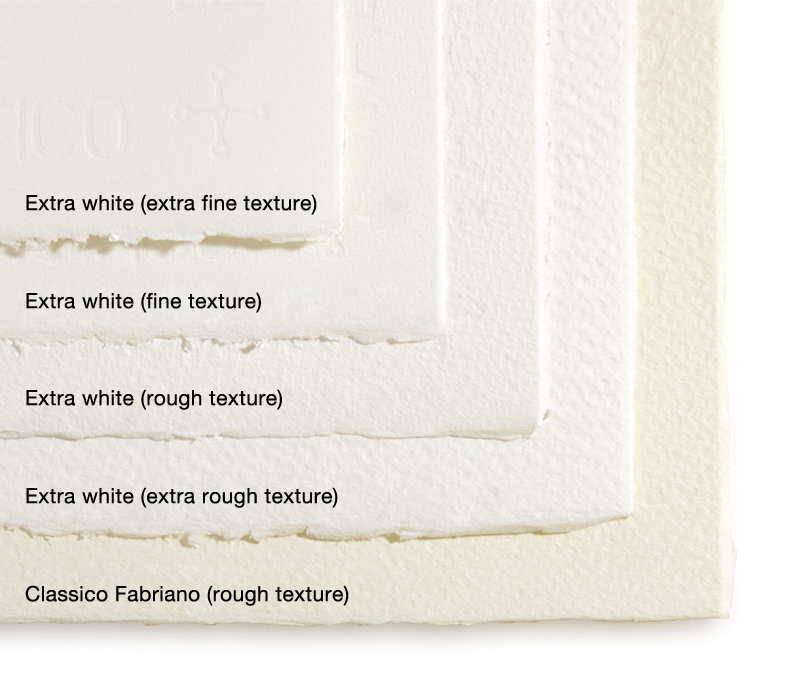 These are Fabriano’s signature mould-made paper produced semi-mechanically via a process similar to handmade paper. They have a unique texture unlike any other types of watercolor paper with reasonable elasticity and absorbency, and offer excellent color development, surface strength and permanence (acid-free paper). Extra White paper is almost pure white and is available in various textures: extra fine, fine, rough, extra rough. It is quite thick, 300g (300g – 640g in Italy) in basis weight (mass of 1 sheet of paper per square meter), and is sold in sheets (560mm × 760mm) or pads containing several sheets glued on one side. 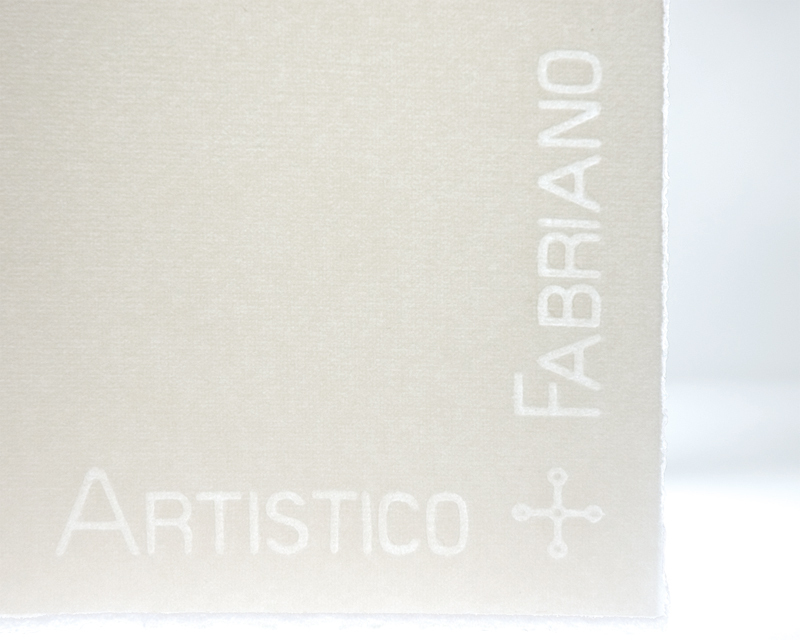 Fabriano Classico, on the other hand, is an off-white paper with a rough texture sold only in sheets, but in various thicknesses (200g, 300g, and 640g). 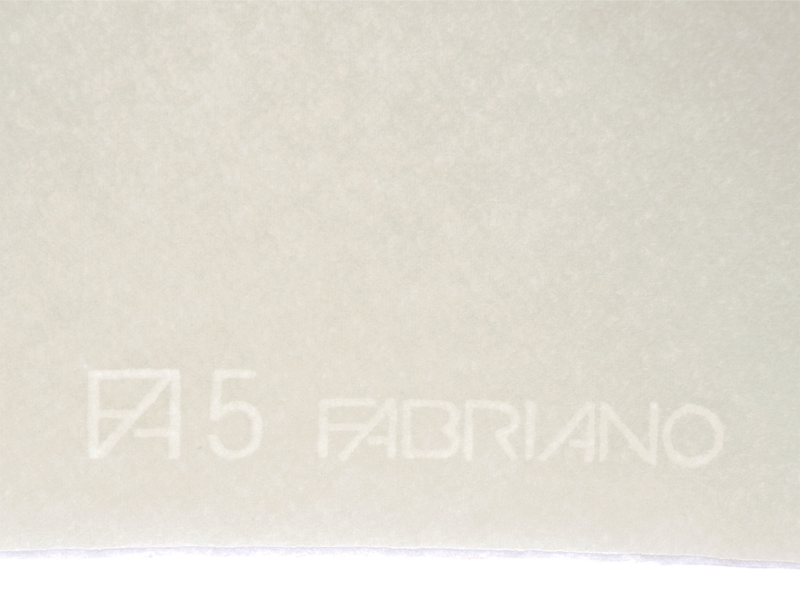 Fabriano also sells a middle-grade mould-made paper made of 50% cotton called Classico 5 (Texture: rough, medium, fine; Thickness: 210g; Size: 700mm × 1000mm) which can be used for watercolor and printing (planography, stencil, etc. ), as well as the less expensive “Studio” line made of 25% cotton and wood pulp for students and beginners. The side with the more discernible texture is the front and the flatter side is the back, but this can also be checked from the watermark. (The side where the “FABRIANO” watermark reads normally is the front.) Fabriano watercolor paper can be purchased at art supply stores.